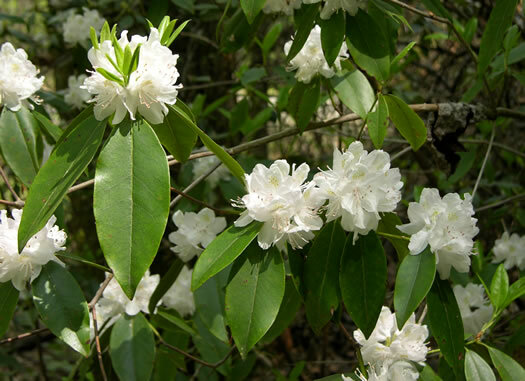 Your search found 6 image(s) of leaves of Kalmia and Rhododendron species. 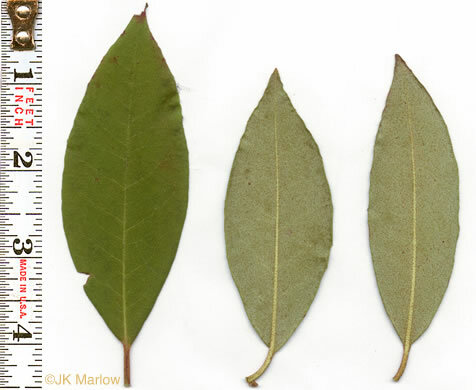 Leaf blades leathery, oblong, 4-12" long, bases tapered, tips pointed, per Native Trees of the Southeast, An Identification Guide. Blades leathery, widely elliptical, 1/2-6" long; bases rounded, tips blunt, per Native Trees of the Southeast, An Identification Guide. 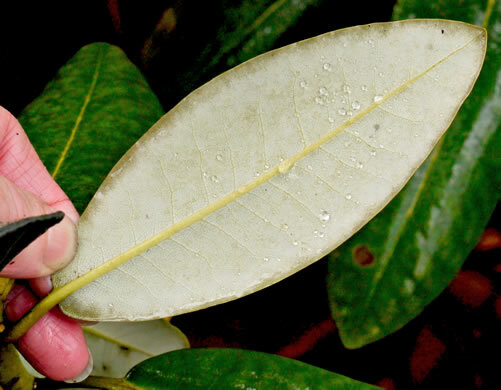 Leaves very lightened below, per Woody Plants of the Blue Ridge. 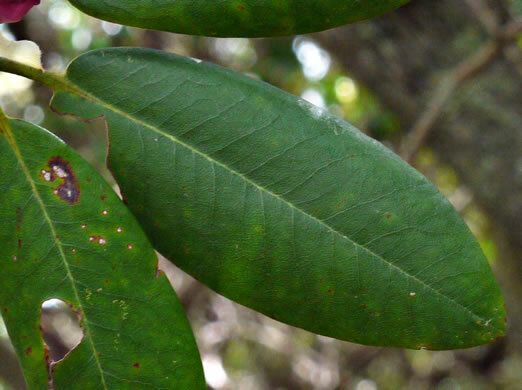 Leathery elliptical leaves sharply pointed at apex, wedge-shaped at base, per Wildflowers & Plant Communities of the Southern Appalachian Mountains and Piedmont. 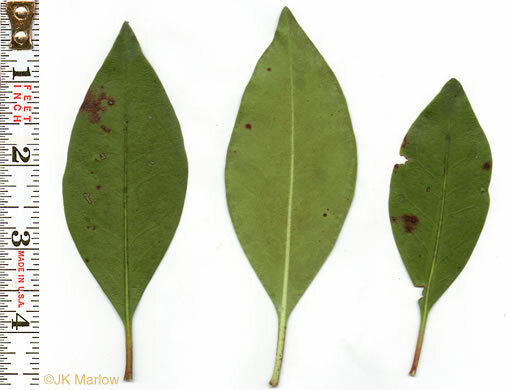 Leaves mostly 2-4" long, with tiny dots (punctate) below, per Woody Plants of the Blue Ridge. 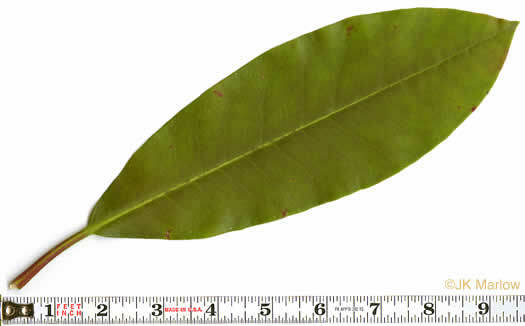 Leaves 2.5-12 cm long, petiole 7-45 mm long, per Weakley's Flora.